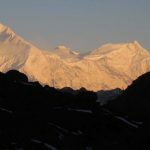 -The Kanchenjunga base camp, this is one of the most stunning valleys a trekker can reach. -Olanchungola and Thudam. 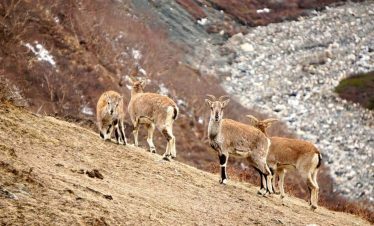 Two remote villages that live of trade with tibet and their catle. In Olanchungola is a centuries old gompa which is the most beautifull I have ever seen. 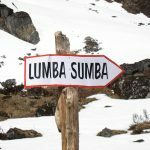 – Lumba samba. One of the best panoramic views I have ever enyoid. You can see the eastern Himalaya all the way fram Kanchenjunga to Makalu. 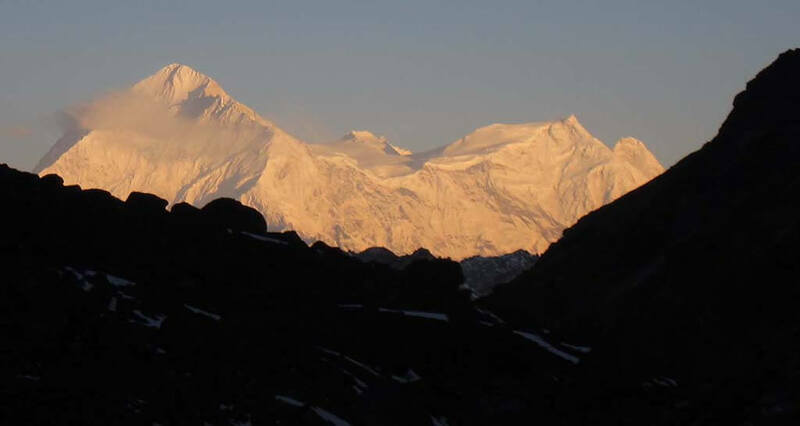 Especially view of the majestic Makalu is unforgetible. – Farmlands between Chymandan and Hongon give a welcome variation in the scenery. – Molun Phokari. 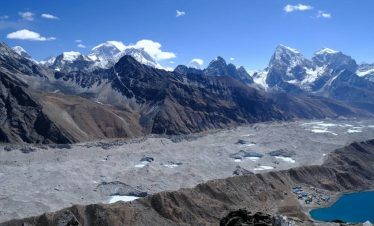 A long and very remote crossing with many passes and unihabited valleys. – Barun valley. This valley comprises granite rock formations unlike anywhere in the world. 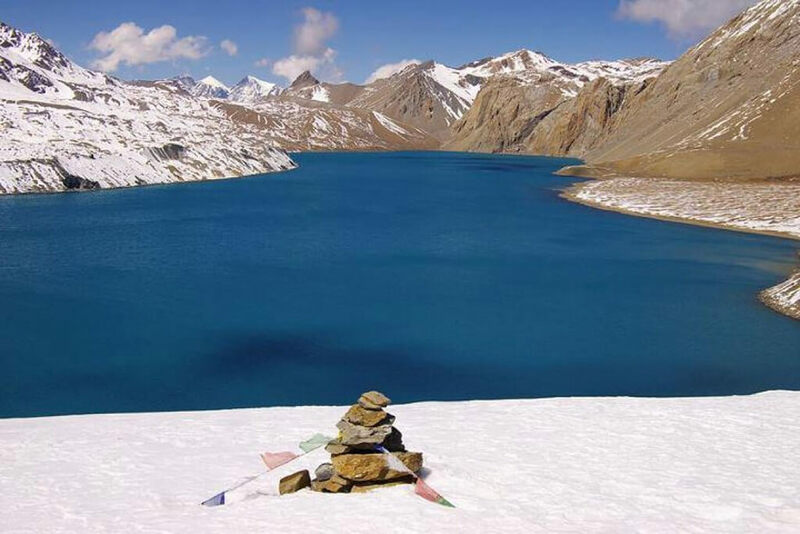 You should consider this trek when you are looking for a long and physacally chalenging trek. 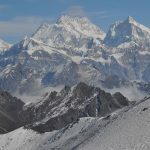 That combines classic mountain views of Kanchenjunga and Makalu with panoramic views from remote passes. And combines quiet but comfortable lodges with at large backcountry camping. When there is a lot of snow crossing in spring (march-april) is very hard (but possible). May has less snow (at least that is what local people say). In summer the rains wash away the snow and local people use these passes but for tourist it is not so good a season as this area sees a lot of rain and clouds from june to mid september. (but it is possible for sure). mid-september to november sees few snow and clear skies but will be cold. Another draw back for Oktober is that this is main season and that you are likely to need to share the trails with fellow tourists. December might be possible but it is a risk for snow. January and febuary are in my oppinion to risky for this trek. 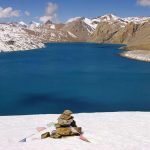 -One can shorten this trek easily by cutting out the Kanchenjunga BC and going directly to Olanchungola directly. In this case one may consider going via Phatibara (Hindu temple) as this grants a nice view to Kanchnjunga and makes up for aclimatisation. It is two days hike from Sekhatum. One should however take aclimatisation day in Olanchungola and (at least) one day at Lumba samba BC (no lodge). All and all this saves about 6 days. -One can also cut out Molun phokari and Makalu BC. And go to Num from Hongon which is 2 days. This shaves of 10 days. -Also flying in and out saves some time tough driving from Bhadrapur to Tumlingtar instead of flying does not take that much longer and you save lot of money, besides it is a scenic drive. Flying to Bhadrapur and flying back to Kathmandu saves about 3 days. When one needs to choose I think it is best to keep Kanchenjunga and skipp Makalu. As Kanchenjunga valley is most beautifull and it takes less time then Makalu. Day 02:Arive Biratmod drive to Phidim. Kathmandu to Biratmod is long uncomfortable drive. When money is no problem you should fly. Drive from Biratmod to Taplejung is however nice drive. To Jogidanda is not on the main trail, instead of going down to miltung and following the valley. You can keep altitude and slowly descend into the valley toward chirwa. This route has better views and nice and quite teahauses. 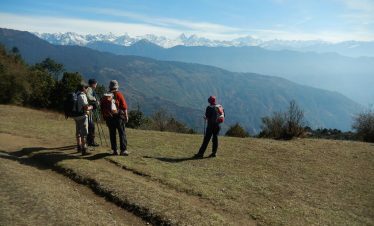 At Chiruwa you join the main trail to Kanchenjunga BC. It is possible to hike all the way to Amjilosa, but unless you are pressed for time you pressing on is not worth it. This is very far but only hiking to Amjilosa is just to short a distance. There are now places to stay in between. Unless when you are willing to camp. 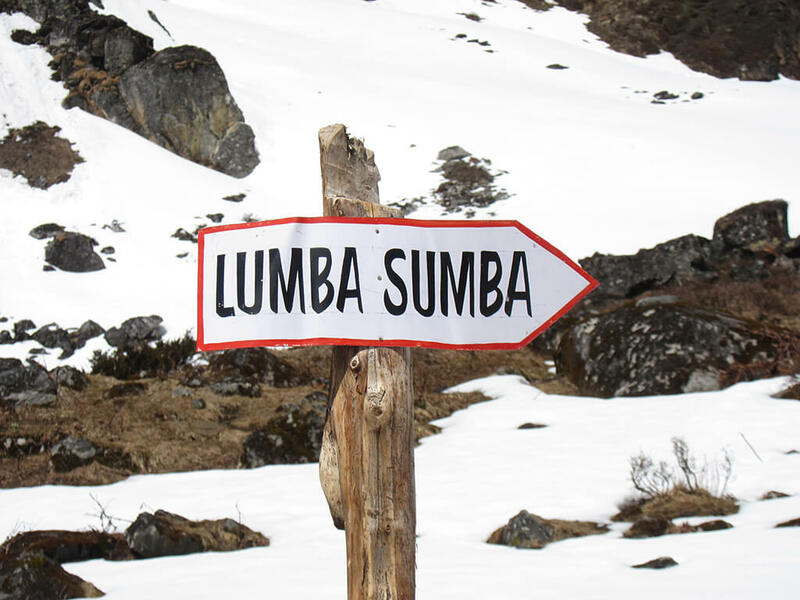 Leave your camping equipment behind in Ghunsa and pick it up when you come down from the base camp again to cross Nango la. Hiking up to sele la is a possible daytrip but I did it and thought is was not really worth it. Better to take an easy day and visit the beautifull monastery. From this moment on the scenery becomes absolutely stunning. Lhonak in on an alltitude of 4750 m, so this aclimatisation day is essential! The best side trip to make this day is to the Jannu (Khumbakarna) BC. The impresive sight of this mountain form up close is a must see! Leave early as you want clear skies when you are at the base camp. 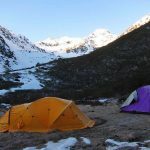 There is no lodge at the base camp and unless you want to climb the hill (6000m) behind the base camp there is no reason to spend the night there. There is no lodge here, camp at 4100 m just before the bushes start to disapear. There are plenty of places to pitch a tent. There is clean water and firewood. Local people will encourage you to do the pass in one day, but I do not recomand it. 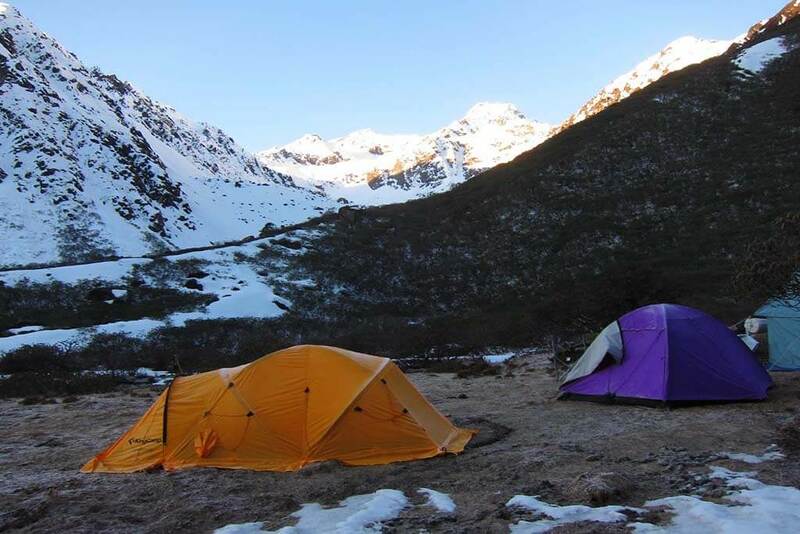 Day 14:Cross Nango la pass (4600m) 5 hrs, camp on the second grass area after the pass. Again no lodge this day. It is important that you do not hike further then the second grass area, as after this there is a steep descend through the forest with no good camping spot untill you reach Olanchungola many hours latter! Even tough the route is not Always obvious everywhere it is even in deep snow not very likely to get lost. (I do not recomand taking an expansive guide from Ghunsa even if you have never been here before.) Only place you can make a mistake is Climbing the wrong pas, you should climb the pass on your right closest to you. Take some time to see the monastery!!! Olanchungola has a nice shop and you can buy kerosene here. 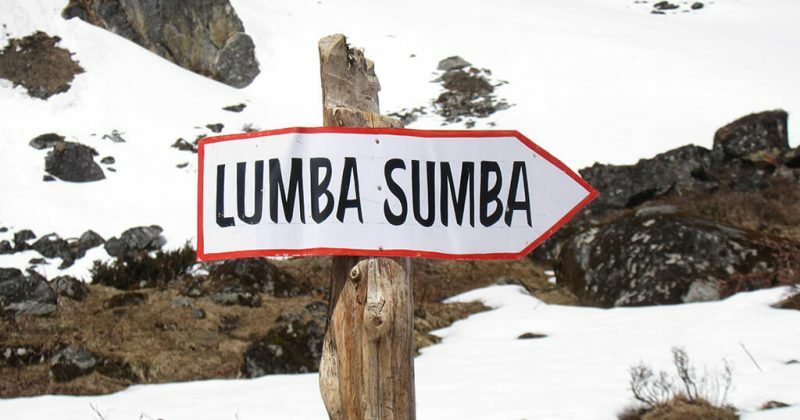 Do the shopping for the Lumba samba pass to come. Buy a lot of things as the next place is Thudam and you cannot buy anything else then rice there (Not even dal!!!!). There is no official lodge but home stay is easily aranged. Hike to the north till there is the bridge and the paths splits up take the left path over the river and hike further up. When you reach the first morain climb up and camp here at an altitude of 4450 m.
This is an absolute highlight. Start hiking very early. (when you have a full moon start at 3 a.m.) The skies will be clearer and the ice will be way better! If the skies are not clear it is definitely worth to wait a day for crossing as you do not want to miss out on this view. When there is snow the path is not visable and unless you have GPS or guide from Kathmandu that knows this trek a local guide is needed. (easily aranged in Olanchungola) Camp on the first hospitible camping spot you see. 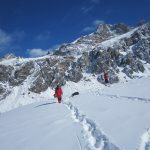 Pressing on to Thudam is possible but you will be hiking for 11 hrs if you atempt this and when snow makes crossing difficult this will be to long. Navigation is not very hard. Follow the valley over flat ground at the end climb up steap rocky ridge. Continue hiking up valley for 15 minutes. Then you will reach morain wall west of the valley. After few hundred meters take 90 degress turn to the left and climb steep up. Keep Climbing untill you see two possible passes. Take the pass left of the hill. When you reach the pass do not descend keep altitude and climb the second pass. Then go down and follow the stream. 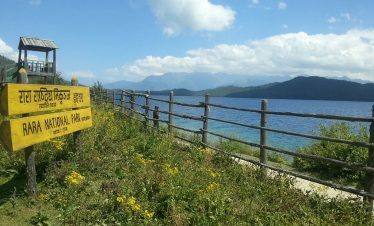 Day 18:To Thudam 3150 m, 3 hrs. Very remote village. There is only very basic food and facilities here. These people only eat rice an yak meat and there are no toilets. Home stay can be arranged but people are not really prepared for tourists here. Follow the narrow trail (in poor shape) west of the river. 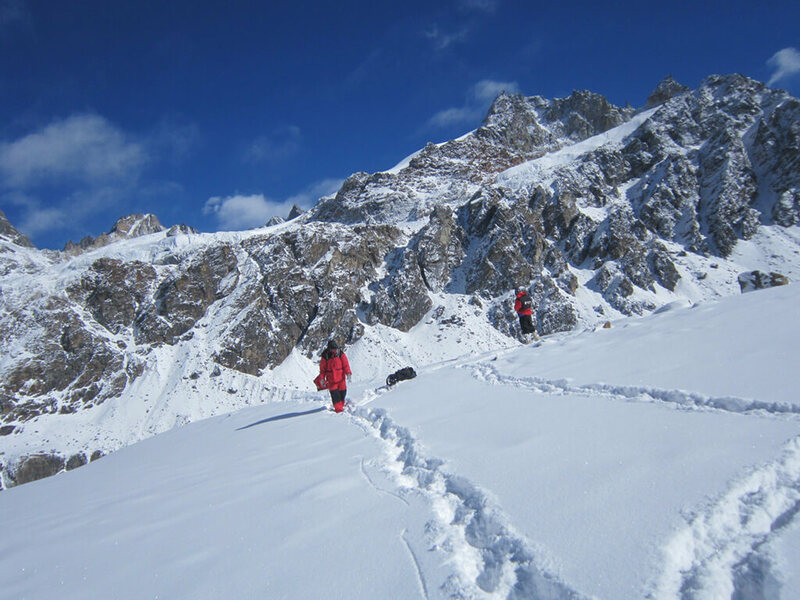 There is a fierce ascend to a pass of 3000 m before you descend deep down to Yak Kharka. Yak kharka consists of a small hut with family of 4 person and a lot of cows. If you are with more then two or three people you need to camp two people you can fit in the small hut and eat with the family. Steep down 700 m and steep up 500 m brings you to the first major village since you left Olanchungola. There is a nice hotel with excelent food and very low prices. This could be a good place to rest for a day. This hike is in completely different from what you have seen so far. It takes you through farm land and bigger villages to Hongon where there is a nice hotel. Buy a lot of food as you have a long way ahead of you before you reach Yangle Kharka the first place with lodge on the route. Do not underestamate the route! It is quite low but in spring there might be a lot of snow and trail is very hard to find. Taking a local guide in Hongon is a very good idea even if you have GPS and map reading skills. Long ascend via easy trail to a kharka at 3300 m. After this kharka Molu phokari at 3900m is next camping spot (if there is no snow), so do not go past this point if you are not into a very long day. Also there is no firewood at the lake. 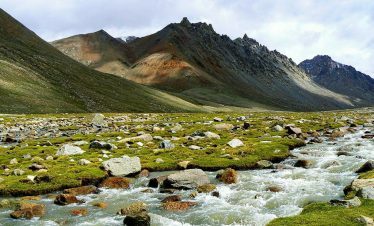 Day 23:Cross unamed pass and descend via another lake to a Kharka 5 hrs. Ascend to the lake and hike west of the lake to the other side. Then continue for 15-20 minutes and go west. You will see the pass, climb to this pass. DO NOT DESCEND, instead keep altitude bit longer and go north you will pass another ridge then go down till you reach antother lake. Then go down again till you reach a small bridge. There are a lot of camping spots there. And also a lot of fire wood. Easy trail along the river. Hike downstream cross the first river and follow the second upstream till you reach a place called cave camp there you need to go up next day. It is a good place to camp with fire wood. Trail is easy to follow except when you reach the first river you need to cross. 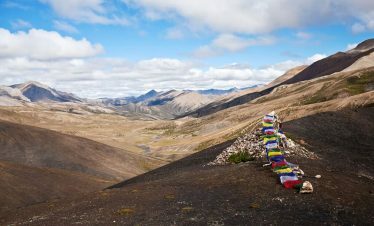 For one reason or another there is no bridge and trail takes you all the way north to a pass to Tibet. So at this point leave the trail and descend cross country to the river. cross it and in the Woods on the other side you will find trail again. (no more then 40 meters from the river, but hidden in the forest). Very long ascend to first pass keep altitude and cross the second pass that is another 300 meters up. Descend to Kalo phokari. Making it all the way to the next kharaka is to far so this might be a good place to camp. There is no fire wood. Hike takes you over 3 other small passes (around 4400 m). If you are fast you can try to reach Yangla kharka but do not count on it. again no firewood this day. Day 27:Yangle kharka 4 hrs. 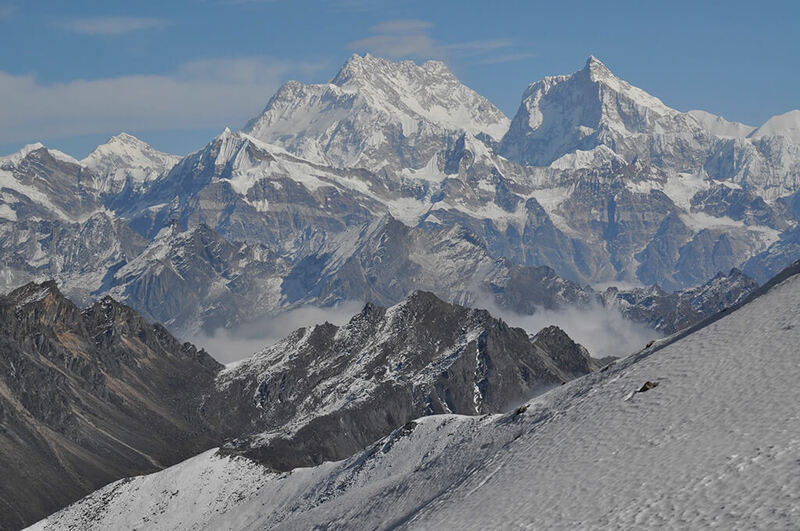 Descend all the way down to the valley untill you zipp with the main trail to the Makalu BC. This day you reach again nice place with lodges. If you are willing to make a long day you can reach Makalu BC. Otherwise stop in one of the places in between. If you are willing to make another very long day you can reach the lodge at Shipton la, but this is again a tough day and I do not recomand doing it. Note: The itinerary above takes 35 days but you should take at least 40 days as you will have some sitbacks on the route.